· Marination- In a bowl mix 250gms of yogurt, minced garlic cloves, seven spices, vinegar, black pepper ,olive oil , cardonman powder. Then, add the chicken thigh boneless pieces to the yogurt mixture and let it marinate overnight so that all the flavors soak in. · Hummus- Soak the chickpeas overnight. Boil them the next day and save the chickpea water. In a food processor combine bolied chickpeas, tahini pasta and a garlic cloves. When the machine is running slowly pour the olive oil till the mixture smoothens. Add salt, lemon juice in the end and mix again to combine all ingredients. · Yogurt Tahini Sauce- In a bowl mix 250gms of yogurt, 1 tablespoon of tahini sauce, olive oil, lemon juice , black pepper powder, salt to taste and minced garlic. Mix all the ingredients and let it sit in the refrigerator for 30 minutes so that the yogurt thickens. · Now, grill the chicken till it is char grilled and cooked completely. · Cut the Lebanese white bread into thin squares, spread them over a baking sheet and bake till golden brown. · For the dressing mix olive oil, sumac powder, minced garlic cloves, salt and blackpepper powder, mix well and refrigerate for 30minutes so that all the flavors soak in. 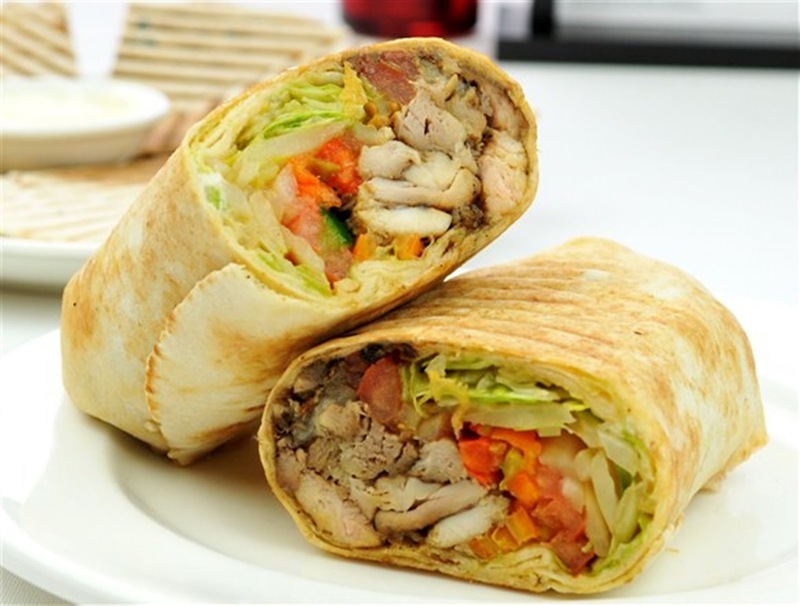 · Combine cucumber, tomatoes, onions, lettuce in a bowl. 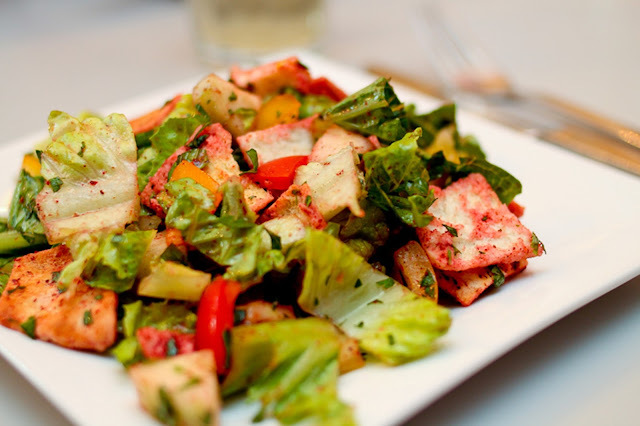 Gently toss the salad with baked pita chips and pour the dressing , mint leaves over the salad just before serving. 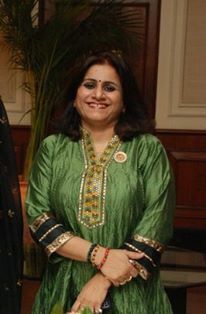 Alkaa Khanna with MBA, a multi- talented person, previously a corporate communication professional is now an owner of an Event management company, a mother of two daughters. One her passion is to learn about food, curious about various national and international cuisines, she has visited many countries in Europe like Switzerland, France, Greece, England and Middle East countries. Her present interest is in baking and cooking in the Mediterranean cuisines, she has learnt by interaction with the local experts whom she meets. She has gained expertise in Lebanese cuisine.